Abundance and prosperity don't just happen. Learn how to implement stewardship principles over your life and experience the promised “good” success! Sign up for my E-Zine & Receive a Free Audio Gift: Are You Closet Rich and Cash Poor? Yes I want to claim my free gift and stay connected to “The Money, Wisdom & Faith E-Zine” to receive Pearls of Wisdom along with tips, tools and inspiration that I can apply to my life to elevate my knowledge of biblical stewardship, financial freedom and making a difference! Discover my step-by-step system to transform your thinking about money and get away from a paycheck to paycheck mentality - shift gears into realizing what it is like walking in God’s financial abundance. After graduation, I began working with some of the world’s largest investment and insurance companies talking with their clients about money, building portfolios, developing estate plans, managing assets and evaluating strategies. You've got questions? We've got answers. We are here to support you and help you on your journey to securing your financial future. and you have not been told enough the value that you bring to the universe. There is creative power in your words and a unique gift that was designed within you before creation began. When you struggle with money because of past mistakes, or trusting the wrong people, or missed opportunities – it is impossible to live your best life. 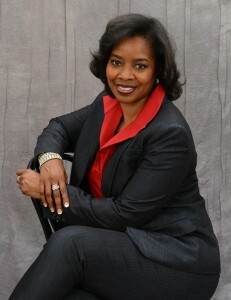 Author, Coach and Business Owner, Laya Gavin went from latch-key kid and single mother with no financial knowledge, bad credit, and juggling utility disconnect notices to becoming a Vice President of Investments, earning an MBA in Finance and working with clients making recommendations on multi million dollar portfolios. What would your life be like if you moved from simply natural thinking about your life and money, and partnered with the God of the universe and implemented spiritual laws over your finances? I work with purpose driven Christian men and women and help them understand and apply the biblical financial principles of stewardship, wealth building and legacy thinking. You will gain the practical tools that I used to get my money in order and build a manageable infrastructure to put it to work the right way! You will receive high speed tips on building your own financial safety net so that the next “emergency” won’t take you out! You will walk away with a whole new understanding of your personal power to manifest the financial future you are destined for! You will realize a noticeable difference in your peace of mind over money as you implement biblical financial strategies to shift your money and your mind. God’s plan is better than anything Wall Street could ever come up with! Imagine what your life would be like, if money were not an issue. It’s all yours! Tap into a new mindset about stewardship and your position in God’s plan!